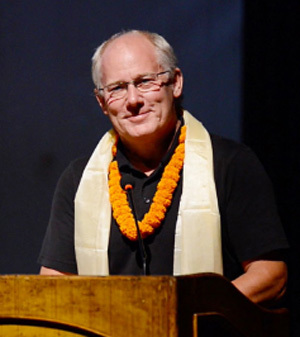 Tau Zero Foundation, a non-profit foundation dedicated to developing the capability for interstellar robotic exploration and human travel, has selected Dr. Andrew Aldrin as chief business strategist on our board of directors. In this role he will provide pragmatic objectivity, and insight while advocating for the nonprofit’s mission. Dr. Andrew Aldrin currently serves as the Director of the Buzz Aldrin Space Institute (BASI) and is an Associate Professor at Florida Institute of Technology. BASI is a multidisciplinary institute created to advance space exploration and development toward the goal of establishing and maintaining a permanent human presence on Mars. Prior to FIT, Dr. Aldrin was President of Moon Express, responsible for day-to-day operations for the company. Prior to coming to Moon Express, Dr. Aldrin was Director of Business Development and Advanced Programs at United Launch Alliance where he oversaw development of corporate strategies, business capture, senior customer relations and advanced program development for civil space markets. Before ULA, Dr. Aldrin headed Business Development and Advanced Programs for Boeing’s NASA Systems, and Launch Services business units. He has also served as a Resident Consultant at the RAND Corporation and Professional Research Staff Member at the Institute for Defense Analyses. Dr. Aldrin holds a Ph.D. in Political Science from UCLA, an MBA from TRIUM, a MA in Science Technology and Public Policy from The George Washington University, and a MA in International Relations from the University of California at Santa Barbara. He is an Adjunct Faculty member at International Space University and has been Adjunct Faculty at the University of Houston and California State University at Long Beach. He has served as ShareSpace Vice Chairman since its inception in 1998. 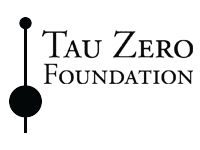 Tau Zero is a 501(c) non-profit organization dedicated to accelerating progress toward the scientific breakthroughs required to support interstellar flight. The Foundation’s efforts, driven by the experts most capable of addressing the formidable challenges of interstellar flight, include fundamental scientific research, encouraging and supporting academic involvement in sciences related to its goals, empowering youth in this quest, forging collaborations for cross-fertilization, and engaging governmental and industry support on a global scale. Tau Zero’s motto is “Ad Astra Incrementis” – to the stars in ever-expanding steps.